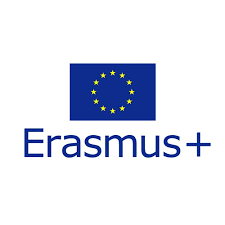 Home/What we do?/European Projects/Erasmus+ KA2/E-mploy-me! This project aims to promote social and economic inclusion and the empowerment of immigrant women who are excluded from the labour market, through media literacy and digital skills. To do this, unemployed migrant women will take part in the project from the very beginning, both indirectly and directly. This project will address the needs of migrant women with the goal of eliminating social and cultural barriers that hinder their socio-occupational integration, often influenced by new technologies. Two intensive training courses will take place, which will involve the direct beneficiaries of the project. The first activity of E-mploy-Me! in which the final beneficiaries will be involved, will be in an initial intensive course. This part of the project is extremely necessary, as it aims to teach participants basic digital skills. With this activity, the participants will gain many skills regarding the digital world, taking a step towards optimizing their employability. Later, a second training will take place after the participants have completed the first online course. This session includes the evaluation, feedback and we will also evaluate the preparation and self-esteem of participants. – To promote gender equality and the empowerment of immigrant women through access to new technologies. – To increase the employability of immigrant women and the possibilities of professional diversification by offering them new tools and promoting their skills. – To bring immigrant women to the resources that new technologies can offer them. – To promote the socio-labor inclusion of immigrant women in the participating countries.